Next to the pool table, exposed in the cement, lies the grave marker of a young woman named Elvira Edmunds that was discovered, along with the skeletal remains of dozens of people, when the old floor boards were removed during renovation. These are presumed to have come from the time when the building was a morgue. 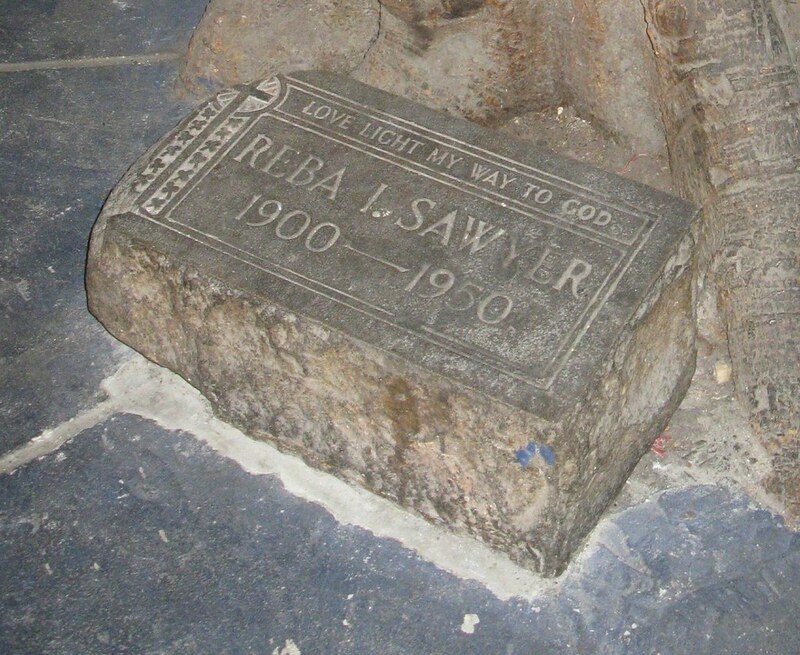 There is another grave of one Reba Sawyer located at the foot of the hanging tree. The legend goes that Reba Sawyer was cheating on her husband, having secret rendezvous with another man at Captain Tony's Saloon. Her husband didn’t find out until after her death, but when he did, he was so enraged that he pulled her tombstone out from the cemetery and dumped it inside the bar, saying “this is where she wanted to be, so this is where she will stay”. 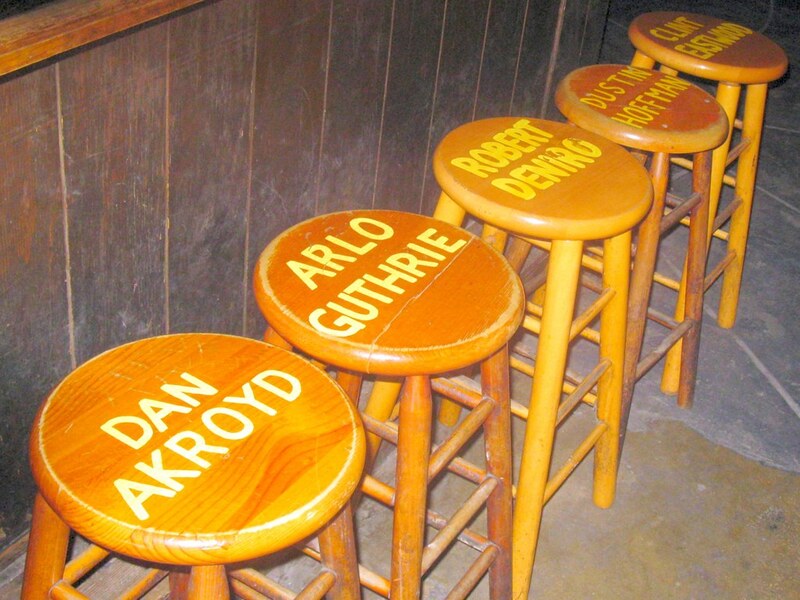 According to historian Tom Hambright, many of these stories including the names “Reba Sawyer “ and “Elvira Edmunds” were invented by Tony Tarracino to keep his patrons interested and engaged. Tom Hambright is also of the opinion that the building was neither a morgue nor an icehouse. Tom says that Key West didn’t have a morgue until recent times, although some places were used as makeshift morgues at times of natural disasters or epidemics. The icehouse theory is also questionable since the walls are too thin, and there was sufficient evidence that there was an icehouse at another place. 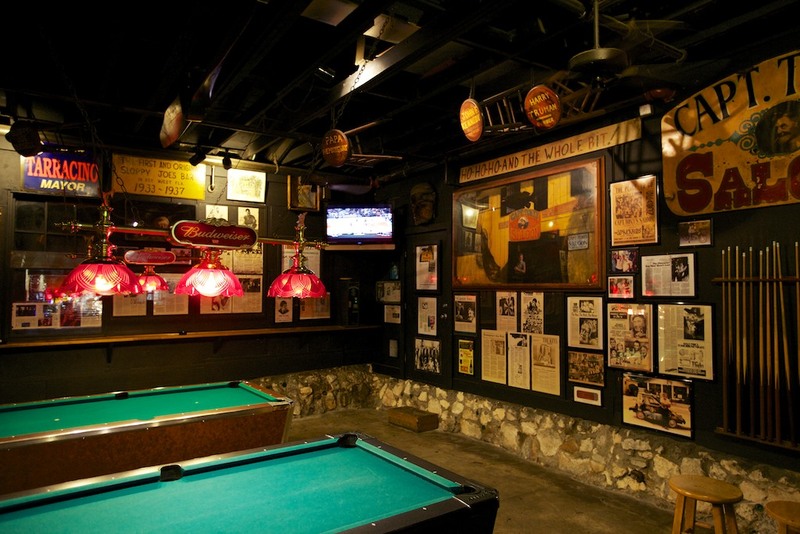 Whatever be the truth, the legend of Captain Tony's Saloon lives on. With live entertainment every afternoon and a live band every night, the place is very popular among locals and tourists alike.